At two and half hours you�d think his film would feel long but you�d be wrong. �The Dark Knight� is so packed with visual wizardry. The film is a true sequel in as much as it virtually picks up at the conclusion of �Batman Begins� but, partly because of Heath Ledger�s stunningly brilliant performance, the story becomes even darker. It takes a master villain to make this kind of film a success. Ledger moved Batman from comic book to fully fleshed out thriller! Brothers, Christopher and Jonathan Nolan, collaborated on the script that just might make this the powerplay of the year.As director, Christopher Nolan�s control at the helm of this big budget blockbuster is flawless. Ledger may have made this film his own but we can�t let that detract from the consistently outstanding performances delivered by the entire cast. Christian Bale returns as Bruce Wayne which is great. In my humble opinion Bale�s interpretation of the character has resulted in the best Batman yet. Michael Caine returns as the perfectly cast Alfred. Aaron Eckhart turns out to be a surprise. I know he�s a very good actor but I wouldn�t have expected him to pull off the transformation required by this script. Eckhart nails it. Morgan Freeman is always splendid. He�s back as the technical wizard Lucius Fox and another of my favorite actors, Gary Oldman, again proves his capacity for perfection. There is subtlety in this story that reflects today�s reality more than I like to admit and as Batman is forced to lean more vigilante than hero the, �When good people do nothing� adage highly focused. I thought �Batman Begins� was a phenomenon. 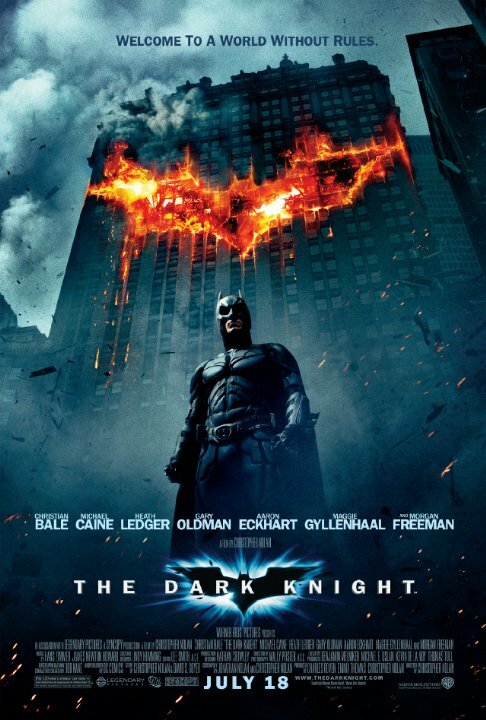 �The Dark Knight� kicks the franchise up to a whole new level.